WASHINGTON, D.C. (Legal Newsline) - The Consumer Financial Protection Bureau (CFPB) is proposing a ban on arbitration clauses that are generally hidden in financial service contracts between consumers and financial institutions offering student loans, credit cards and other products. Arbitration clauses generally state that consumers cannot enter into any class action lawsuits against the company and any disputes will be handled by a private arbitrator. 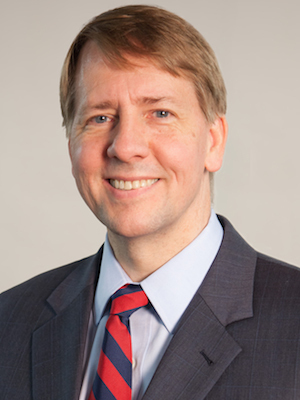 “Consumers should not be asked to sign away their legal rights when they open a bank account or credit card,” said Richard Cordray, director of the CFPB. A study by the CFPB found that the clauses are currently included in tens of millions contracts and less than 7 percent of consumers that have contracts with arbitration clauses even realized that the clause was there. The study found that more than 75 percent of consumers with a credit card did not know whether or not they were subject to an arbitration clause in their financial service agreements. Consumers rarely individually take action against these companies, according to the study. The CFIB proposal seeks to protect consumers by keeping companies accountable by making the arbitration clauses illegal in many cases. Consumers would then be able to participate in class action lawsuits.